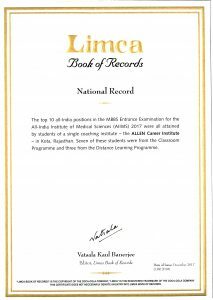 ALLEN Career institute marks its victory and acquires a position in the Limca book of Records after achieving a perfect 10. It is the first time that a single institute paramount all the top 10 positions on All India Level. 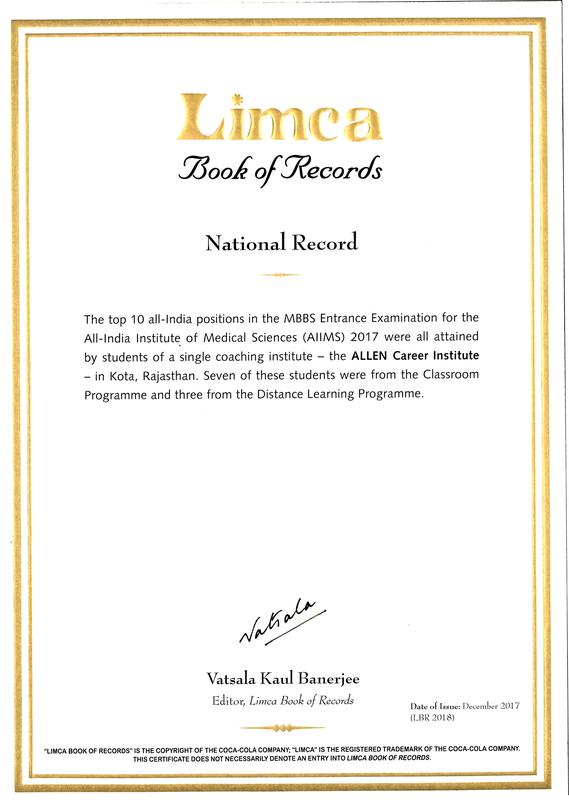 ALLEN has been honoured for this achievement with the certificate of success by Limca Book of Records under the title “Top-10 All India Ranks from One Institute” after testing this factual information. The Editor of Limca Book of Records, Vatsala Kaul Banerjee has certified ALLEN with this prestigious recognition. 2017 is marked as a year of excellence for ALLEN. 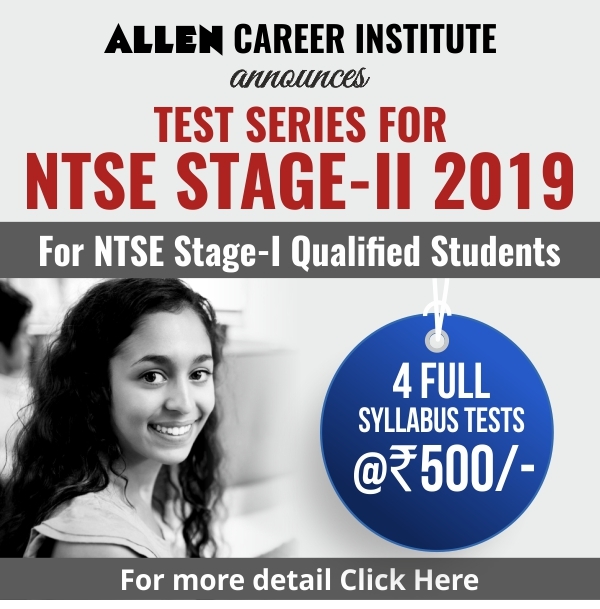 The leader in Pre-medical and Pre-engineering exams ALLEN, embarks on setting new and most glorious achievements every year. Mr. Rajesh Maheshwari Founder Director ALLEN said, “This legacy of ALLEN led us to create another one in its name by scoring a perfect 10 in AIIMS 2017 result. In this Nishita Purohit secured Rank 1, Archit Gupta secured Rank 2, Tamoghna Ghosh secured Rank 3, Nipun Chandra secured Rank 4, Harsh Agarwal secured Rank 5, Rishav Raj secured Rank 6, Harshit Anand secured Rank 7, Rinku Sarmah secured Rank 8, Abhishek Dogra secured Rank 9 and Manish Mulchandani secured Rank 10. 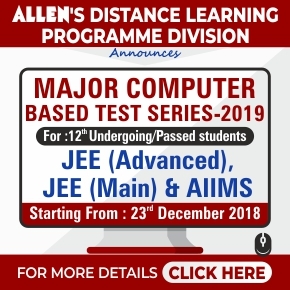 In this trail, 7 students were associated with the ALLEN’s Classroom Programme while 3 students were a part of ALLEN Distance Learning programme. While celebrating this achievement , Mr. Rajesh Maheshwari, Founder Director of ALLEN Career Institute said, “ALLEN always believes in delivering excellent education and excellent environment to their students. He said we always believe that the dream of each student, who is coming to ALLEN, should come true. We always strive to give best training with best resources to the upcoming engineers and doctors of the country. This record is a hallmark on the authenticity of the ALLEN’s results. We dream to obtain all the seats of pre engineering and pre medical examination of the nation by our students and we are working on this every day with the best resources and best team of the country. ALLEN was earlier recognised in 2014 by the Limca Book of Records for being the Largest Educational Coaching Institute of India having student strength (66,504) at a single location, Kota.